Hello everybody! If you have read some flat iron previews may be you have met the paragraph for the tourmaline technology. In this article I want to give you some more information about it because I think it is important to know how this mineral can help for your hair. Tourmaline gemstone is a semi-precious mineral similar to granite. With colors ranging from magenta to teal-blue, green to vibrant yellow, and even black, tourmaline gets its name from the Singhalese phrase “tura mali,” which means, “stone mixed with vibrant colors.” Principally they mine the mineral in Africa, countries like Tanzania, Nigeria, Kenia, Madagascar, Mozambique, Namibia, also there is tourmaline in Afghanistan, Pakistan, Sri Lanka. It is a fact that almost every color of tourmaline minerals could be found in Brazil, especially in the Brazilian states of Minas Gerais and Bahia. Why it’s good for the hair? Tourmaline is the newest trend in heat style technology and we found it more and more in the new flat iron models. Tourmaline naturally produces negative ions when it is heated, and negative ions and far infrared rays are what helps hair look shiny without damage. This mineral is able to produce near six times more negative ions than ceramic. Tourmaline outputs the most negative ions for the high levels of hair shine and smoothness. 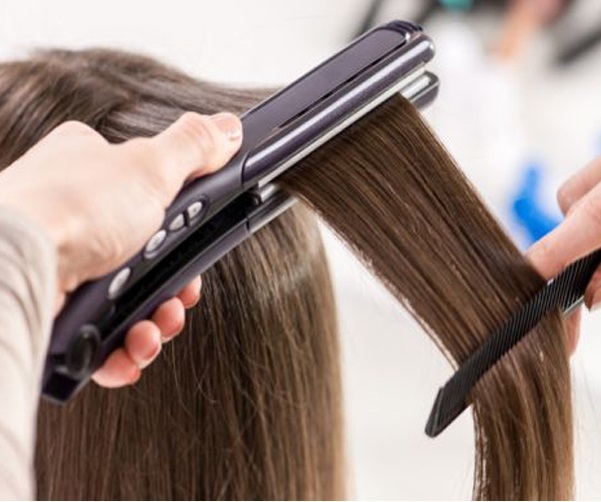 When the negative ions from the flat iron make contact with the positive ions of dry hair, the result is a neutral charge, which make glassy, frizz-free hair. For example if you have a dryer without ceramic or tourmaline, you are actually applying intense heat, which just dries the hair and takes away moisture. This is similar to how the sun dries, leaving the hair dull, dry and damaged.